Level 3 Diploma in Sports Massage Therapy. The Level 3 Diploma in Sports Massage Therapy has been designed to provide you with the skills, knowledge and understanding to work in an unsupervised manner as a Sports Massage Therapist. Through this qualification you will develop your understanding of the theory underpinning the practice of sports massage therapy. 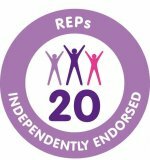 In addition you will develop the understanding, skills and techniques required to provide the use of individual client assessment, massage, related soft tissue techniques and post-treatment advice to manage, manipulate and rehabilitate the various soft tissues of the body. This course provides the ability to immediately operate as a sports massage practitioner. Sports massage can be chosen as a stand alone career or be used alongside Personal Training services. It also provides a foundation for other advanced manual therapy courses. There are no pre-requisites for this qualification. You will need a CPR certificate to practise as an insured sports massage therapist but you do not need one to take this course. Minimum age 16.